Often times, nouns are described by adjectives. 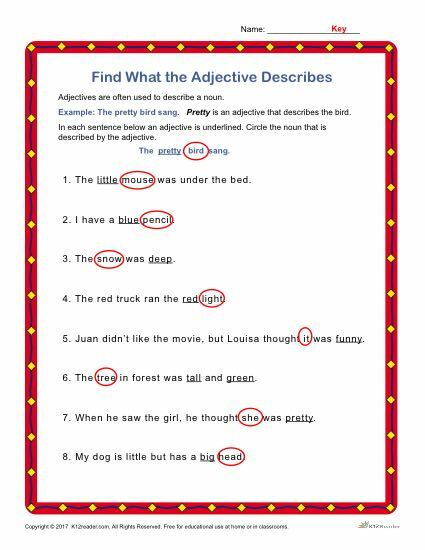 In this worksheet on parts of speech, an adjective is underlined in each sentence. It’s up to you to figure out which noun the adjective is describing! Once you’ve figured it out, circle the noun. Ideal for 1st – 3rd grade, but can be used where appropriate.